Make beautiful fabric flowers with the FREE eBook! 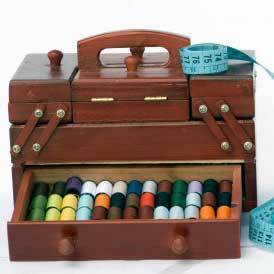 This collection will arm you with the proper sewing skills to create lovely floral arrangements. Do you know how to make a dress? 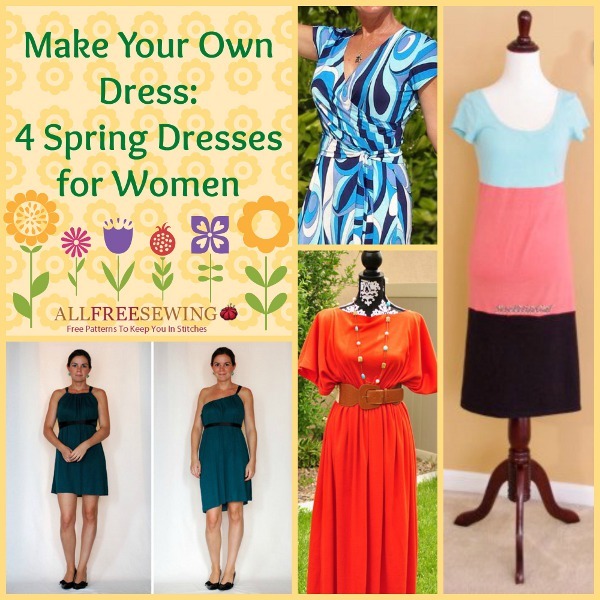 Learn how to make dresses with these 4 Spring Dresses for Women. From casual to dressy, these easy patterns are quick to make and great for any occasion. Test your sewing skills with a more complicated pattern, or go for a fun and easy project. Regardless of your skill level, you will find a lovely dress in this collection that will make a perfect addition to your spring attire. Gear up for the warm weather by sewing these fun and flirty spring dresses. 15 Minute Convertible Dress: That's right; it is as good as it sounds. The 15 Minute Convertible Dress is a fantastic dress pattern that can be completed in full in less than half an hour. See how many ways you can wear it when you explore this free sewing pattern. Colorblock T-Shirt Dress: A comfy favorite, the Colorblock T-Shirt Dress can be completed in little to no time at all, and it is so stylish and cute. Pick three colors and put this dress together to be worn on any cozy spring day. Effortless Caftan Dress: True to its name, this Effortless Caftan Dress is really effortless! With only three seams, you can make it easily. Dress it up or dress it down for a fabulous springtime look. Fun and Flirty Wrap Dress: What not a better way to celebrate the warm spring months than with a new Fun and Flirty Wrap Dress? With an exciting colorful pattern and a flowy pattern, this dress just seems to shout spring. For more fabulous spring patterns, download our free eBook Free Sewing Patterns for Spring Fashion: 8 DIY Sewing Projects. What do you love wearing in Spring? Let us know below in the comments!